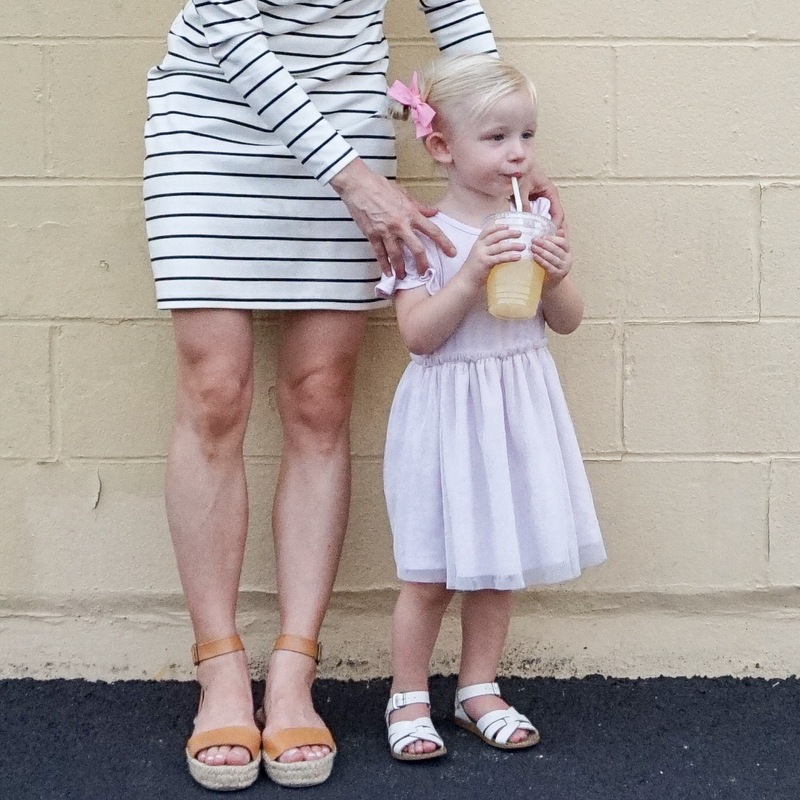 Ok girl moms, this post is for you! 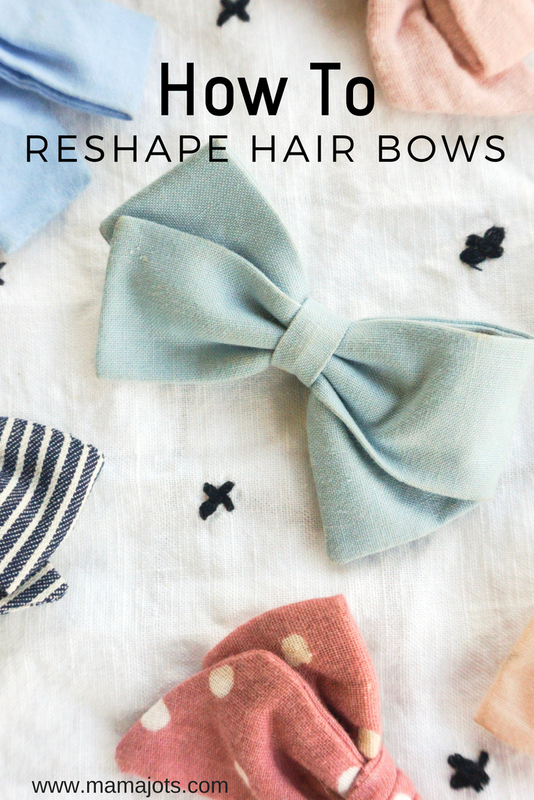 A few quick tips and tricks for re-shaping those beautiful handmade bows we all know, love, and buy from the amazing Etsy community of mom-trepreneurs. Even though I’ve only been a girl mom for a little over two years now, I’ve been collecting handmade hair bows since Abby was in my belly. 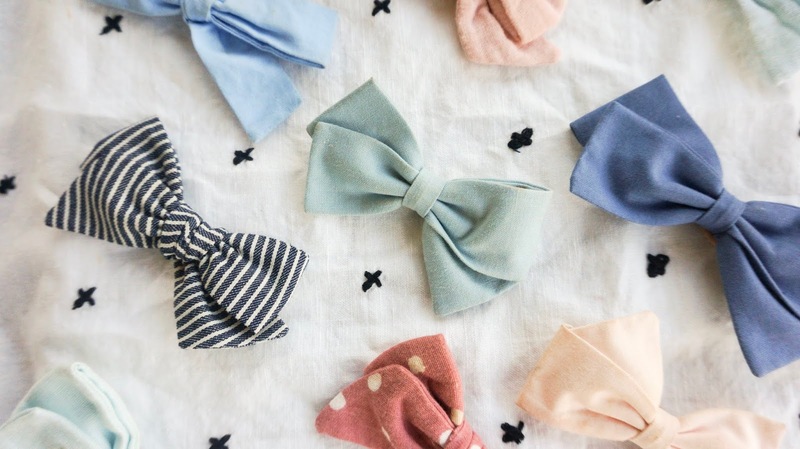 So without further ado, here are three ways I've kept our pretty little handmade bows crisp, clean, and beautiful. 1. 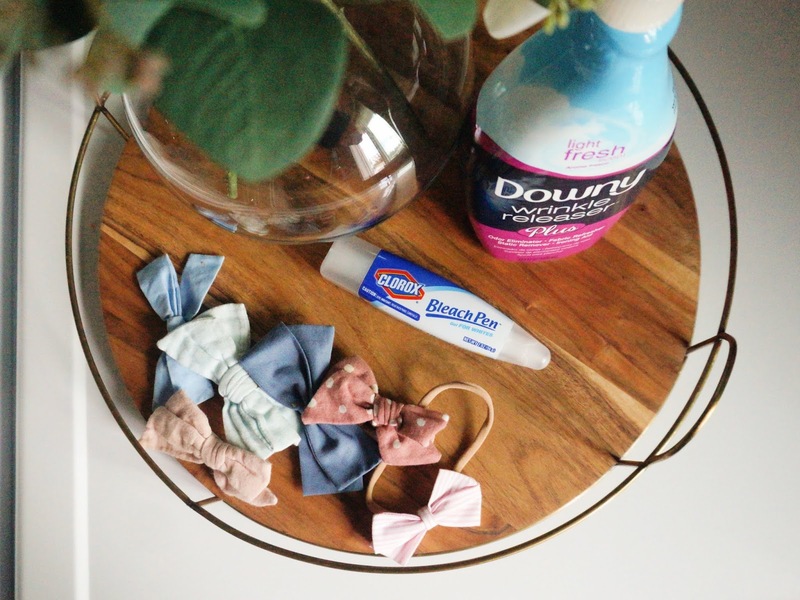 Spray the hair bow with Downy wrinkle releaser on top of a dry towel. 2. Reshape as desired using your hands and let air dry. 1. Following directions for "Shout" to spot clean (white bow? try using a blench pro pen). 2. Let the hair bow completely dry. 3. 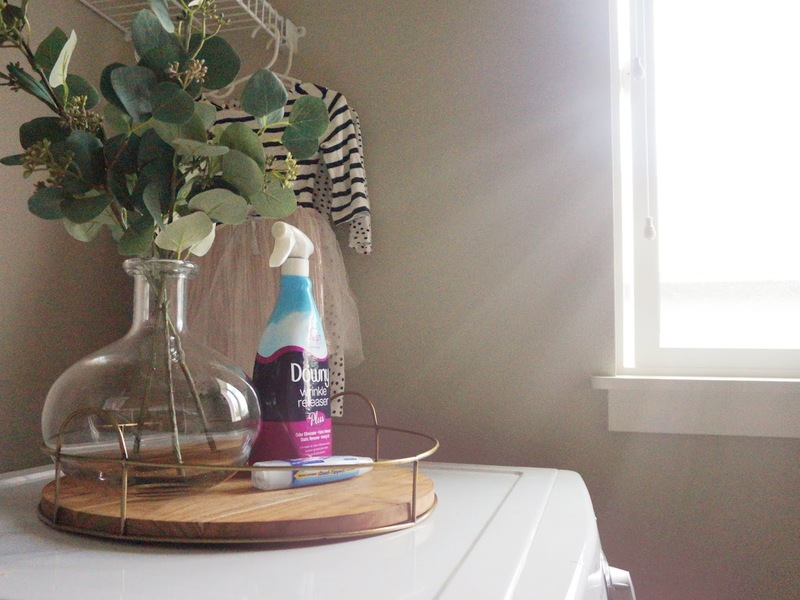 Then spray the bow with Downy wrinkle releaser on top of a dry towel. 4. Reshape as desired using your hands and let air dry. Please keep in mind before reading the last idea, that every bow shop has a different type of material and design. So, I really encourage you to read the “care section” in your bows shop before trying this last one out. 1. Remove clasp from back of bow. 2. Spray stain with Shout. 3. Then wash bow in cold water on delicate cycle. 4. Let bow air dry. 5. Spray bow with Downy wrinkle releaser on top of a dry towel. 6. Reshape as desired with hands and let air dry. 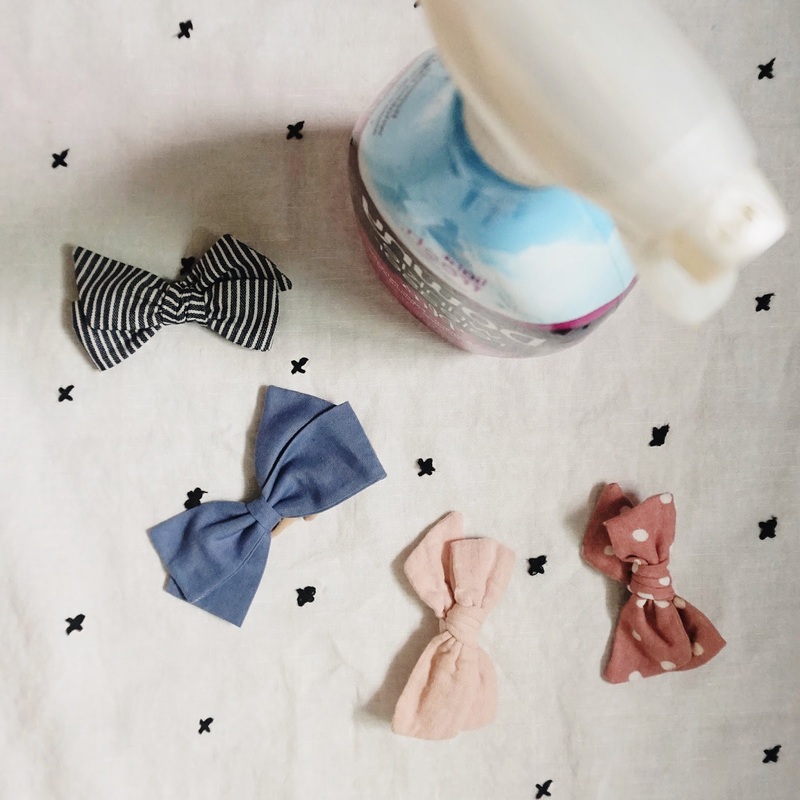 I hope these ideas help keep those pretty little handmade bows fresh and clean for you and your little girl(s) and just let me know if have any questions! If you're reading this, then you and I both know that feeling of a flushed-faced full on panic attack because our kid(s) won’t sit in there seat. Instead, they have decided that a personal tour of the restaurant, the parking lot, bathrooms, and (yes) even the kitchen is why we’re here. Weather you have a toddler now, or you will have one soon, please know that I'm not a parenting expert by any means! I’ve just had personal success in teaching Abby “how we behave,” in a restaurant. All the ideas I have outlined below are based off my education and own experience in teaching dance (ages 4 – 18 years old) regarding how I setup and encourage expectations. These tricks of the trade in teaching have helped ME when it comes to teaching Abby (2 years) a desired behavior. So, I'm happy to share! 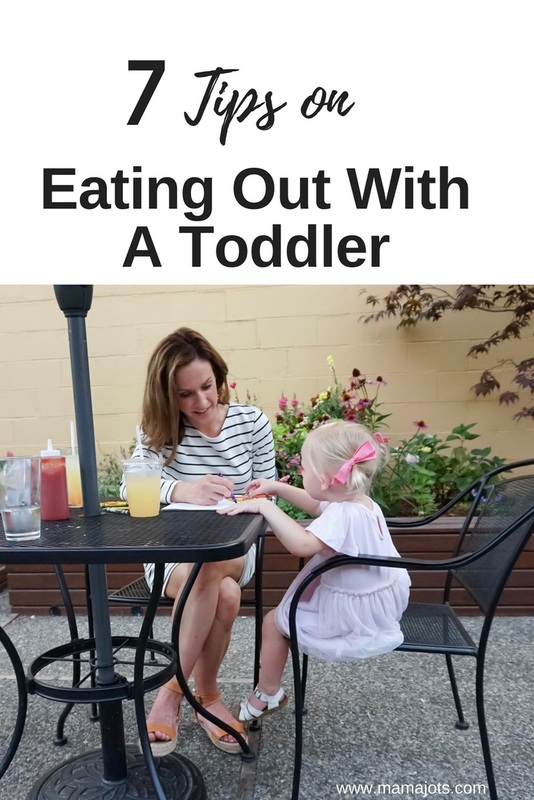 At 10 months, Abby started to learn how to “place” a sippy cup on the table instead of throwing it across the floor (like most do). To teach this, I gave a very short verbal prompt, “we place our sippy cup” while at the same time demonstrating what this meant, by physically placing the sippy cup down on the table. When she completed the task, I gave her some sort of praise by saying “that’s how we do it!” or a hug, and most of the time, it’s both, because I love that little one. For us, this has worked beautifully! Not every time, though slowly and surely she gets what I’m teaching her. I know it’s not fun at first, and even challenging which is why I really liked “practicing at home” to start. This allowed us to be consistent with our expectations by teaching Abby in an environment where I, (the teacher) felt comfortable. You and I both know it won’t go smoothly every time and it certainly didn’t for us. However, once you start transferring those expectations in a fun new place, homework prevails. Extra Tip: We would stick to the same restaurant for about 6 weeks, then when Abby seemed to understand what “eating at the table meant” we started dinning at other places. We typically pick a casual place and always check the menu ahead of time to make sure there’s something Abby can eat. However if you’re unsure the place might not be casual or kid friendly enough, call and ask the hostess if they have high chairs. That will give you a vibe right away. Also, if possible use Yelp.com to see how the restaurant is laid out, both inside and out. 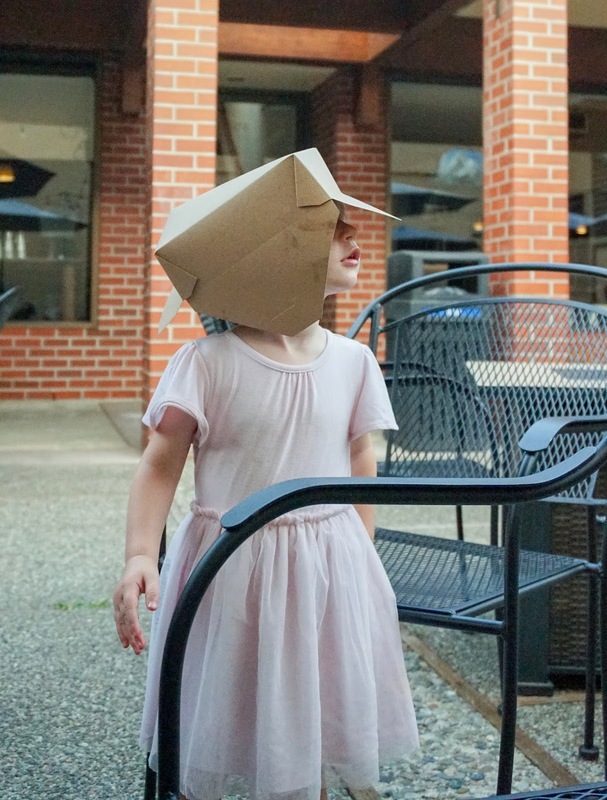 With my dance background I always look for negative space in a restaurant (meaning nothing is there) so she can move around if need be. 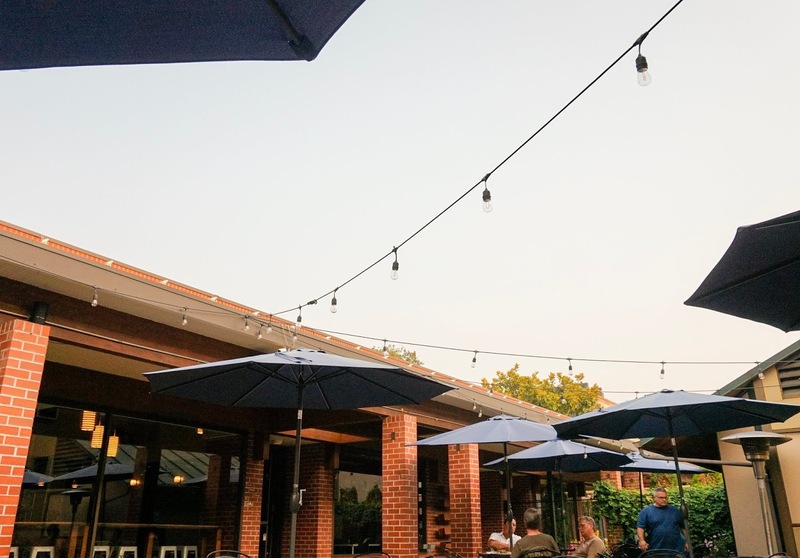 Our favorite local dining spot has an outdoor patio with tons of space between other dinners, along with a corn hole game, side walk chalk and bubbles in an open area off to the side. That is rare! However, it is out there! Some places really do cater to family and kids besides Red Robin, we have just found it takes a bit of research. 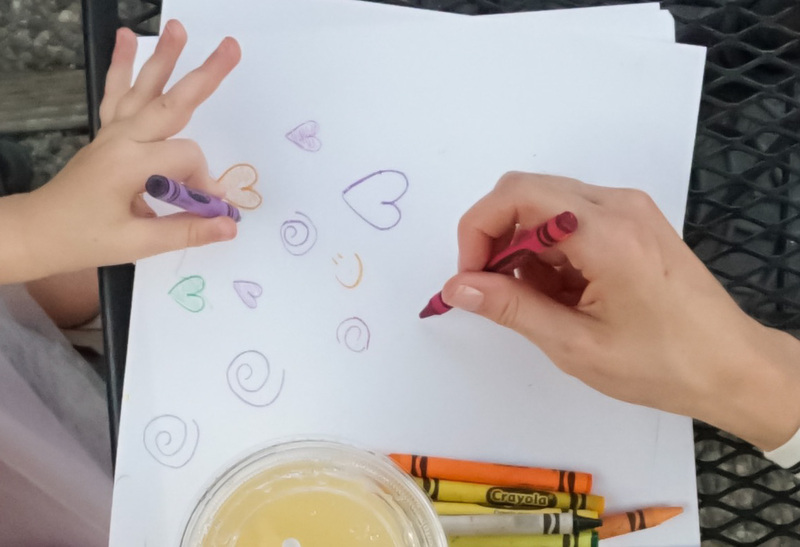 Most family friendly dining options offer a paper activity menu and crayons however, I do pack my own. Whenever possible we use the restaurants because it’s new! And fun! Some other things that my two year really loves is sticker books and these paint free water-wow books which I keep in our diaper bag. Extra Tip: With crayons I have found Abby really loves it when I draw a shape because she wants to try and draw them too. Sometimes we create a picture together. Even though she’s fairly good at coloring by herself, I like to use this trick in redirecting her from losing it. Let them get hungry, they will sit & eat! Now this is not meant to sound harsh! I don’t let Abby starve by any means! However, if we’re headed out to eat that night I won’t make a snack in the afternoon. If she asks for it, I will. Something light like a banana or string cheese. Although, I don’t go out of my way to feed her at 4pm when were about to eat at 5pm. 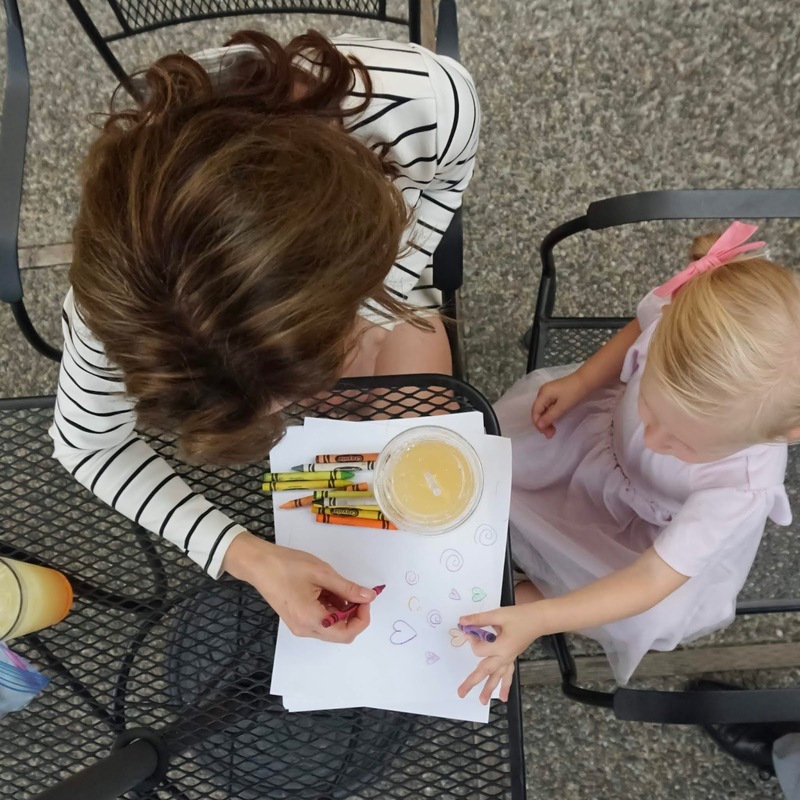 This may be one we all know and prefer; however, I like it specifically because it allows Abby to feel like she’s in two places at once by switching sides of the table between Mom & Dad if needed. 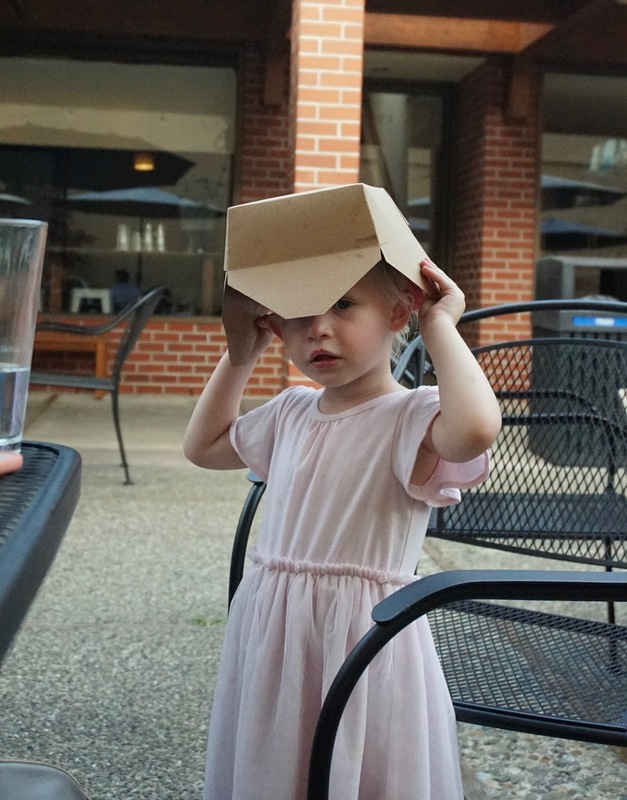 As odd as it sounds, getting another view is complete entertainment for my 2-year-old. New people and a new scène. Plus, she’s less likely to get up and walk around because a booth is way more fun than a chair and that one, I must I agree with her on. I hope these ideas help you and your family enjoy eating out just a little more and as always, let me know if you have any questions! 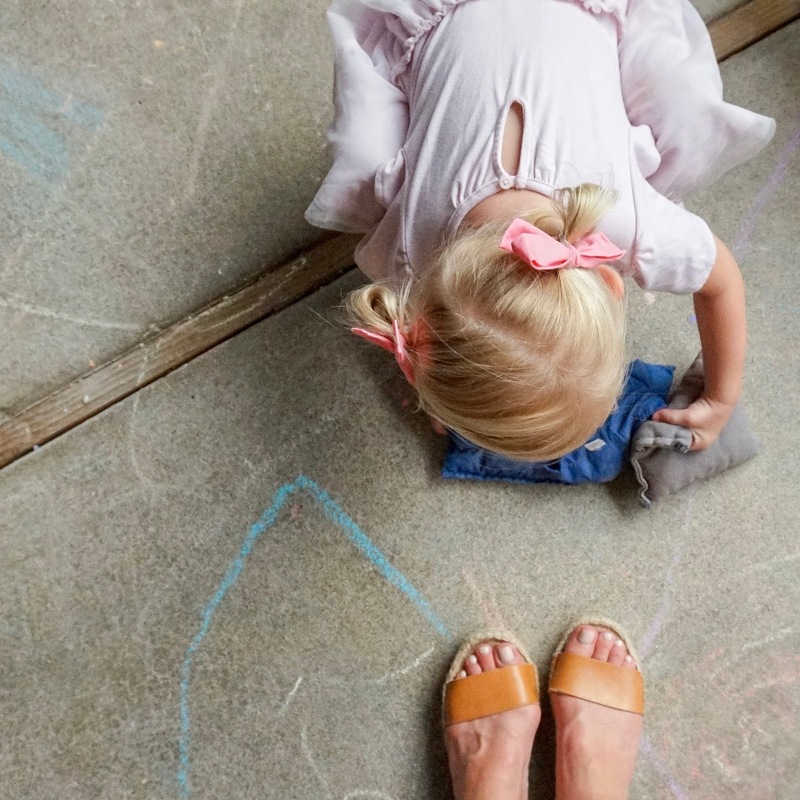 I love feeling comfortable and yet pulled together as a toddler mom because it gives me confidence for whatever the day has in store (Ahem, like chasing down a top-knotted coffee swiper in the living room). During those sleepless nights when Abby was first born, taking a shower and getting ready every day was the number one thing that kept me going. And two years later, it’s still true today. Although those newborn days are gone (for now) I still value self-care and make it a priority, no matter how full our calendar gets. It's always been important to me that I take the time to feel "like myself." 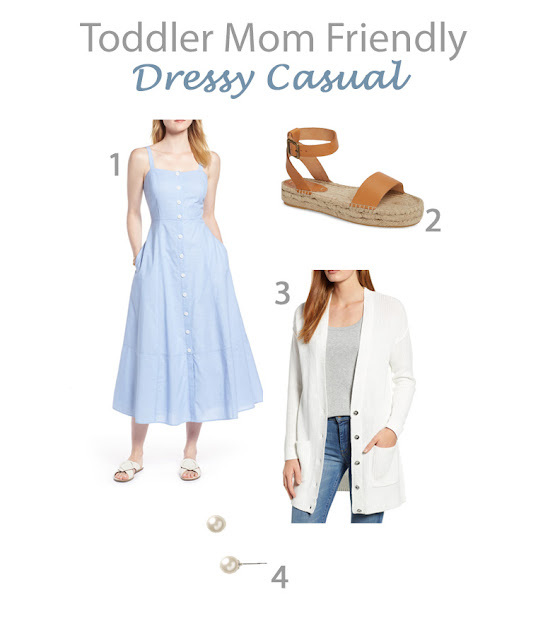 Which is why I’m really excited to share with you today on what I’ve rounded up!! Many of the pieces are currently in my closet although there are a few on my wish list. 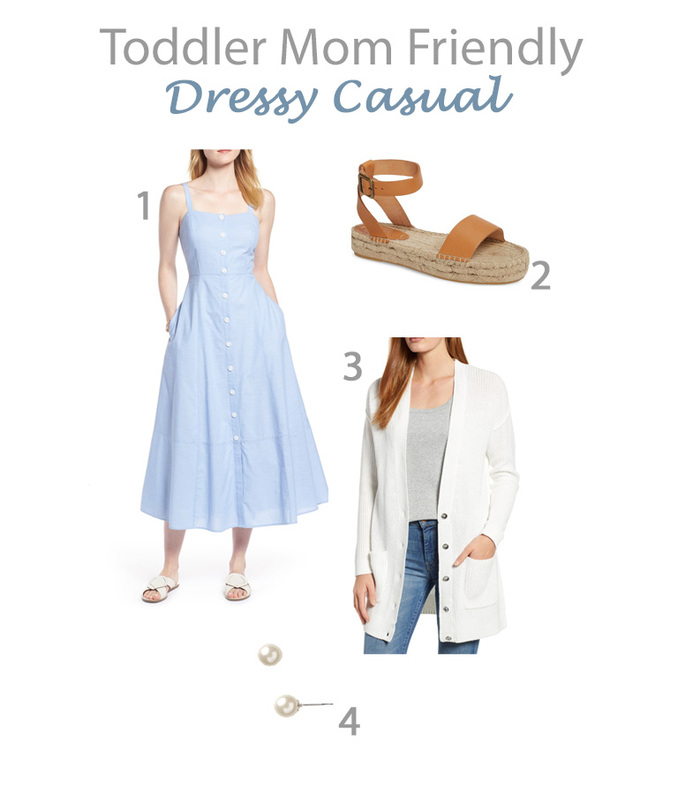 So here it is, three variations of toddler mom friendly outfits with two breast feeding friendly options, per requested. Although the white midi dress that a lot of you asked about is sold out, this one is similar. 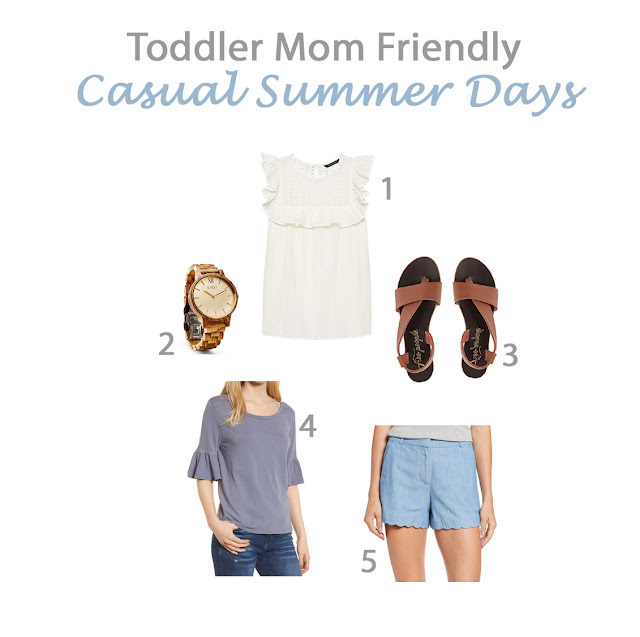 To help give you some other ideas, here are some other toddler mom friendly favorites. I hope all of you are feeling relaxed, comfortable and cool this summer season! May these ideas help you feel inspired and pulled together as you give allll those piggy back and repeated bends down to the car floor while vacuuming up day old fishy crackers. In the begginning, I had a couple terrible travel experiences with Abby. So, I get it: mixing together a kid, a car and miles of pavement in front of you is no piece of cake. 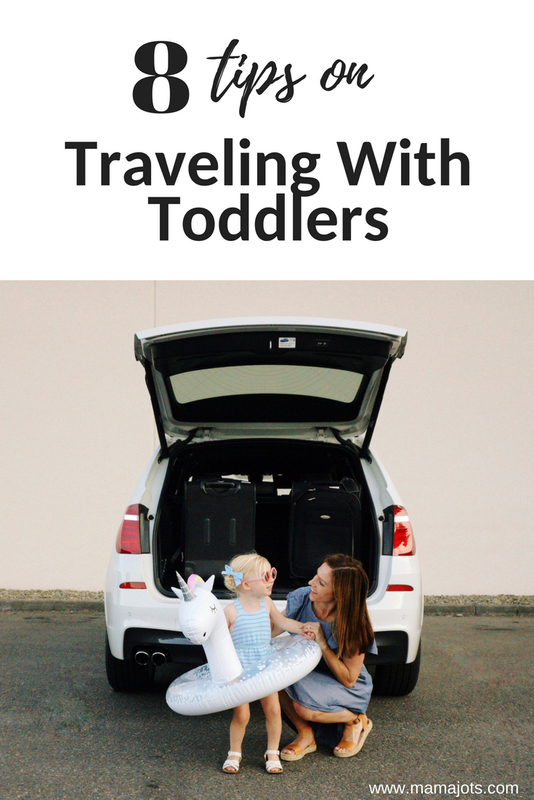 This is why I’m really excited to share with you today a few tips on traveling with a toddler. Traveling with kids as a first time mom feels like studying for a college exam. You take notes, research, and fill your head with as much information as possible. Then, when the big day arrives, you do what you think is best. However, there are certainly a few things we’ve done on repeat and it’s important I mention, it took us 10 trips in two years to feel like taking our then baby and now toddler on a road trip to be “stress free.” We only feel comfortable because we have systems and parenting tricks in place every time we go now. 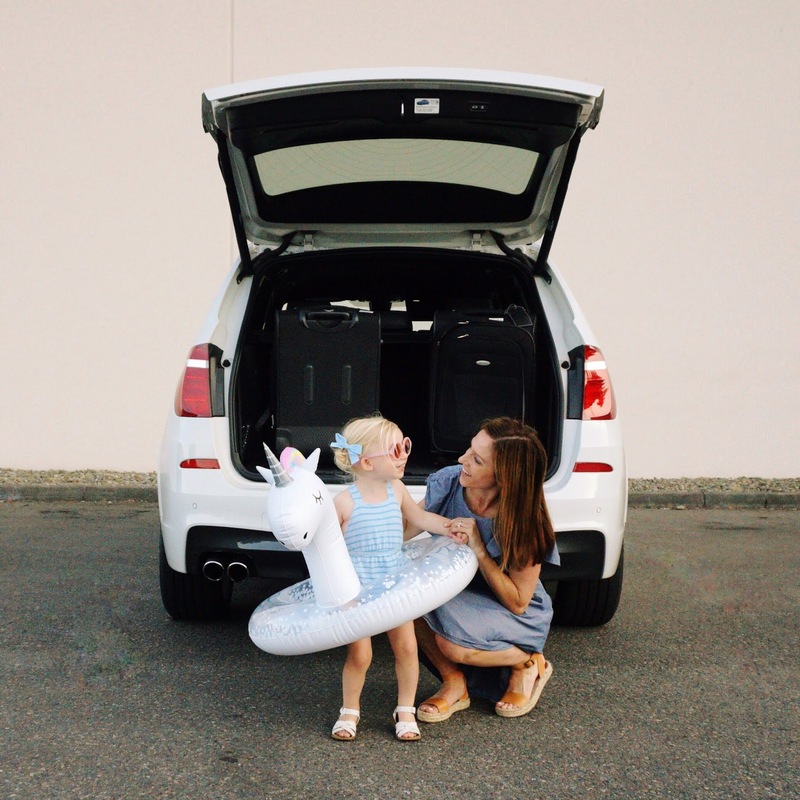 So here are our favorite tips for taking a toddler on a road trip. Please know before reading below that there are a ton of great tips and ideas to keep everyone in the car happy. These are just a few I proudly stand by since they have worked great for us! Travel around their usual schedule. If possible, keep your little one(s) on their daily routine. We’ve found that the best time to start a road trips is right after Abby wakes up. Pack as much as you can the night before. I always make a check list of what we need to do and bring. And I make a second check list for what we need to pack the morning of. It may sound silly and very (Monica from Friends like), although it really helps us get out the door and remember to bring everything we need. 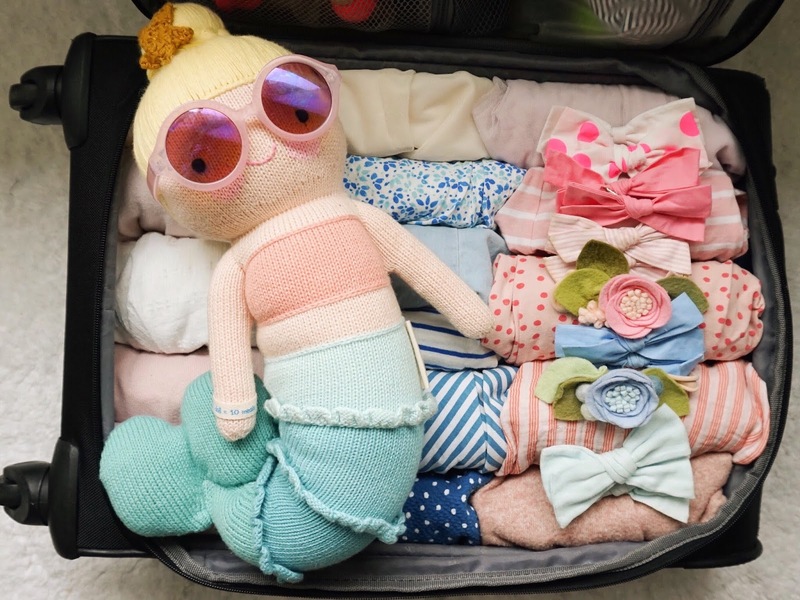 This is the most popular tip I’ve heard about traveling with kids and I agree. As a toddler, Abby likes varity. So I always let her choose which snack she wants, especially if we’re driving and it’s close to lunch time. You can find a more in depth approach to this idea here. The sunlight falls right over our little ones faces because of their low postion in the back seat (facing front or back) and unfortionately, I didn’t think of this during our first road trip. Although ever since that trip, which resulted in pink cheeks for Abby, we’ve doubled up on sun protection with sunscreen on Abby and a sunsheild. Abby has been pink-cheek free ever since! Instead of stopping for more milk or juice, I instead fill a cooler bag with ice and milk. That way, I can easily refill a sippy cup as needed. This is great if your little one just finished breast-feeding or still drinks a lot of milk! I wish I would have started doing this one sooner. Which brings me to my next tip. We always add on more time than we would expect. It took me a long time to really accept and grasp the idea of slowing down. Especially when we started to travel with our little one. It’s impossible to go as long or as fast as we used to when it was just us. Although that's ok! It’s important to stop and change the diaper, let them run around, or get more snacks. This phase is short when compared to the 18 years they’ll be with us. We have found it best to hold off on playing music until the last hour or two of our trip. 80’s or 90’s music is our go-to for keeping Abby awake and happy. Although we have found that the hum of the road helps her focus on other things like, reading books, playing with stuffed animals, eating, or listening to Steve and I talk (which is total entertainment for her!). Varitety is king with our toddler-music or no music. 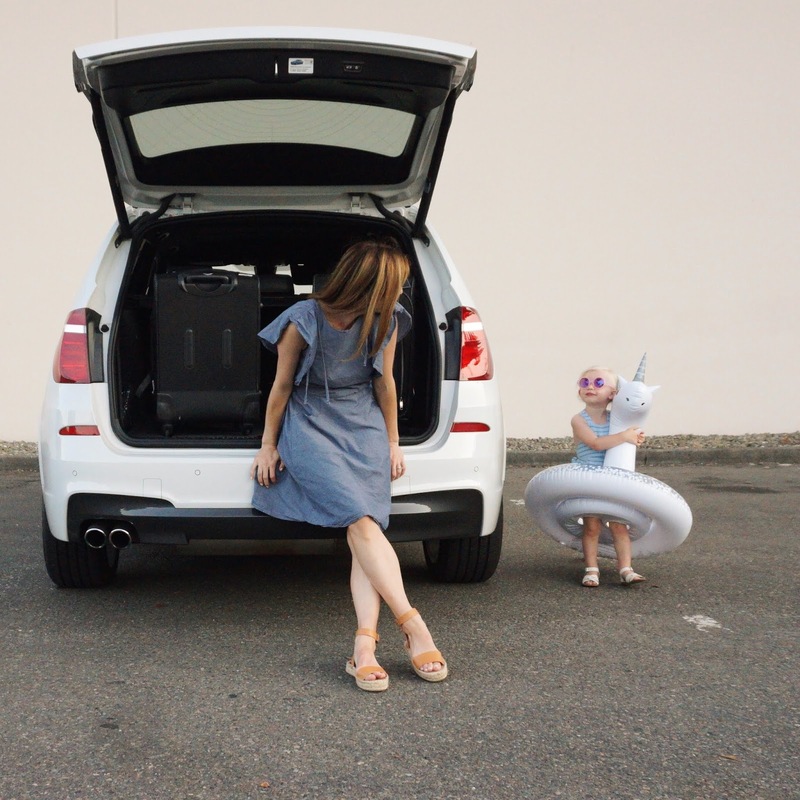 If your little ones are one or under, try sitting next to them in the back seat. We used to do this quite a bit when Abby was younger, since she didn’t have the fine motor skills she so desperately wanted. You can also read books, swap out different toys, feed them a bottle, etc. They will be so happy to have mom or dad next to them in the back. I hope this post helps inspire you to bring to life all those books we read to our children, as I love how travel is an opportunity to do just that. We are always grateful for each trip (even the first few rough ones) and look forward to the our next grand adventure every time we return.